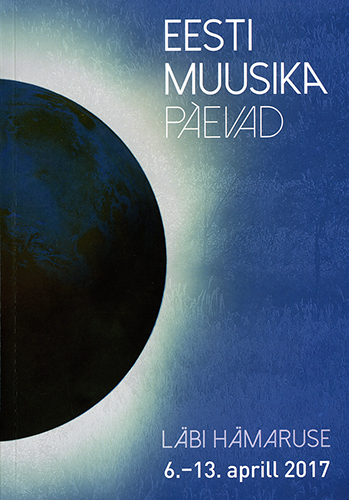 i’ve recently got back from a few days in Tallinn, attending Eesti Muusika Päevad, the Estonian Music Days, the country’s annual celebration of contemporary music. Coming away from my first encounter with the EMD last year, and reflecting on the experience after, left me with mixed feelings. Estonian contemporary music is almost entirely unknown beyond its borders, with only Arvo Pärt and to a lesser extent Erkki-Sven Tüür being featured in concert programmes, both of them older generation composers (aged 81 and 57 respectively). It’s perhaps easy to understand, then, why the EMD almost exclusively focuses on Estonian music: if they didn’t, one might reasonably ask, then who would? So in this respect it’s worth pointing the finger in all directions away from Estonia, and asking why the interest doesn’t seem to be there. But there’s another aspect to this. The EMD’s attitude of introspective celebration – not so much an outlook as an ‘inlook’ – is perhaps partly responsible for this apparent external apathy. It’s easy to regard Estonian contemporary music, for the most part, as existing in a kind of hermetically-sealed bubble, ostensibly drawing on few of the compositional developments of the twentieth and twenty-first centuries. Politics has a significant part to play here; Estonia’s complicated history, veering back-and-forth between foreign rule and independence, has resulted, not surprisingly, in a determination to establish and project a coherent national identity, which in some respects lacks the organic sense of development of less bruised nations. This is not to suggest there’s anything inherently artificial about this identity, not at all, but it goes a long way to accounting for the introspection i mentioned, not simply a desire or an impulsion but a necessity to say, boldly, “this is who we are – this is what we sound like”. From an outsider’s perspective, then, a considerable adjustment is needed when approaching this festival in order to contextualise its very particular kind of music-making and not simply regard it as being disinterested in wider contemporary compositional thought. Writing in Tempo back in 2008 (the last time the festival was featured) Peter Reynolds pondered that “Estonian music has tremendous energy and vitality at the present time, but it is not so clear if this can continue to develop if the country continues to operate in a vacuum”.1 As i’ve indicated above and will elaborate upon below, i don’t believe that it is operating in a vacuum, but Reynolds’ point remains a valid and an important one. 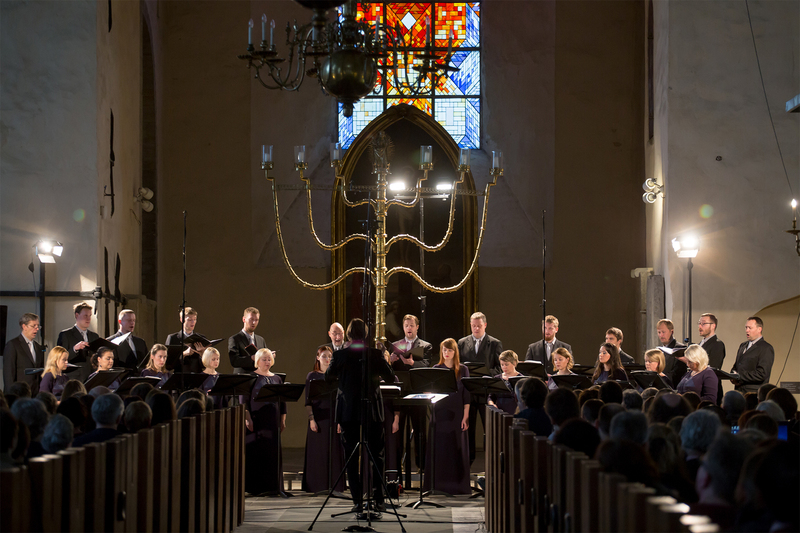 The questions such considerations beg make themselves felt most overtly in what is arguably Estonia’s most outstanding musical idiom: choral music. 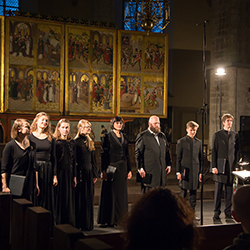 In terms of both compositional ambition and performance standards, Estonia is up there with the very best of them, and as in 2016 new choral works were featured prominently this year, in a pair of concerts within the grand, reverberant nave of Tallinn’s splendid Niguliste church. Aesthetically, the country’s choral music emphatically draws first and foremost on influences from east rather than west, particularly the styles and methods associated with Orthodox Christianity as well as various forms of folk music (which should not here automatically be regarded as secular).2 Anyone familiar – and who isn’t? – with Arvo Pärt’s music as formalised from 1976 onwards (the beginning of his ‘tintinnabuli’ style) will be conscious of this aural as well as extra-musical religiosity, which extends also to the other two composers featured in Vox Clamantis‘ concert last Thursday evening, particularly Galina Grigorjeva. Born in the Ukraine, in the Crimea, Grigorjeva has lived in Estonia for much of her musical life, moving there to study with the great Lepo Sumera and making it her home. 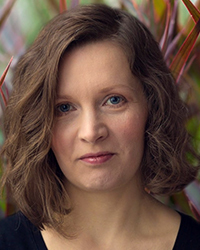 She has, in essence, become a de facto Estonian composer, and her work walks an interesting line between intense personal expression – heard to spellbinding effect in her 2008 setting of Joseph Brodsky Nature Morte – and the kind of one-step-removed approach to putting words to music adopted by Pärt. It was the latter which dominated her new work Vespers, receiving its world première. The work’s seven movements, each setting an Orthodox text, were focused and cohesive, though to my mind when Grigorjeva takes this more aloof compositional approach, while the music retains the tranquil beauty that typifies so much of her work it’s nonetheless somewhat diminished. The first movement, indeed, could almost have been by Arvo Pärt, heavily emulating the essence if not the specifics of ‘tintinnabuli’ (particularly the second stanza, with its static soprano note over shifting chords beneath), while the second movement’s grounding in chant-like melody over a drone felt like a furrow that’s been ploughed more than enough by other composers. There were highlights, and they were special: the lengthy third movement, channelling organum as well as both Tudor and more modern harmonic thinking, coalescing around a recurring ‘alleluia’ refrain, was sufficiently substantial that it would work well in isolation, whereas the fourth movement was about as close as Grigorjeva got here to word-painting, turning the Phos Hilaron into a rich, ecstatic chorale. But too much of the Vespers was essentially inert: as with Pärt (and our own John Tavener), when music takes a higher power for granted – depends on it, in fact – to ‘fill in the blanks’ and imbue the music with some of that power, it takes a considerable risk, regardless of how faithful is one’s perspective, and Grigorjeva’s music disappointingly amounted to little more than an attractive vacuum. However, Arvo Pärt himself, represented on this occasion by two movements from his 1996 Kanon pokajanen, showed that it is possible for music to transcend the limitations of faith. Ode VI was remarkable, like a musical object that kept magically finding more ways for its surfaces to turn and twist and slide, falling into new patterns and cycles, revealing more and more of itself yet remaining essentially the same thing, static and pure. The effect was curious: at once both solemn with laser-focused piety yet like a puzzle or game, an incongruity that thankfully kept the piety from becoming cloying. The other movement performed, Gebet nach dem Kanon, didn’t fare so well in this respect. Yet for all Pärt’s and Grigorjeva’s obvious weight, the music that prevailed with greatest integrity and potency were the three short psalm settings by Cyrillus Kreek. Although inextricably intertwined with Orthodox music, Kreek’s style is almost shockingly adventurous – all the more so considering the first two settings were composed in 1923 – liberating conventions of structure with a plethora of unexpected twists, and notions of tonality with the kind of slithering lines beloved of Delius and rich harmonic progressions instantly redolent of jazz. Though by far the earliest music in the concert, Kreek’s turned out to be easily the most radical. Alongside contemporary music, Vox Clamantis specialise in early music, which gave their performances of all three works, directed with quiet fastidiousness by Jaan-Eik Tulve, an astounding, rarified crystalline purity and clarity, austere yet with vigour at its heart. 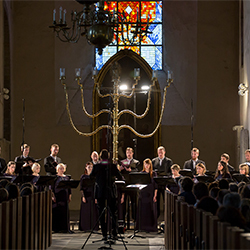 Sunday evening’s choral concert, given by the Estonian Philharmonic Chamber Choir conducted by Latvian Kaspars Putniņš, juxtaposed works by a trio of younger Estonian composers with three European heavyweights. Jonathan Harvey‘s 1980 electronic classic Mortuos plango, vivos voco acted like a kind of palate cleanser within the space of Niguliste church. Despite its (over-)familiarity, this was the first time i’d heard it within an ecclesiastical space, and this transformed the experience, making Harvey’s joyous textures – melding the bells of Winchester Cathedral with the treble voice of his own son – feel like an integral part of the building, and the extremely wide positioning of the speakers superbly heightened the work’s spacial design, giving it enormous scale. György Ligeti‘s Lux aeterna also overcome familiarity to reveal new things, its seething musical surface continually drawing the ear to the myriad details of its tiny modulations, creating a complex sense of perspective, and hearing it performed again live reminded how consonant the piece is (one’s memory tends to render it a network of shifting dissonant clusters). Inspired by one of the greatest choral composers of all time, Gesualdo, Salvatore Sciarrino‘s 2001 Responsorio delle tenebre was given a stylish performance, the choir unashamedly emphasising its disjunct oscillation between liturgy and humanity, culminating in fractured fragments that ultimately strip the music of its liturgical universality, turning it into a very private solitary act. The three Estonian works in some respects overlapped each other, stylistically speaking, yet differed widely in terms of engagement. Though some of her work had been impressive at last year’s EMD, Mirjam Tally‘s The Land of Tree Worshippers was surprisingly empty, marred by primitive, ineffectual use of electronics, displaying a flaccid, unconvincing sense of direction and an unwittingly superficial demeanour – lots of activity, none of it amounting to anything of substance – riven with vocal clichés. From experience one knows Tally is capable of better, which only made the cluelessness exhibited by this piece all the more startling. 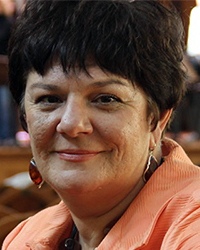 In the first performance of Поля ли мои, поля (“Fields, My Fields”), Evelin Seppar opted for a declamatory style with a distinct, folk-like core. Relatively pedestrian early on, apart from some loud climaxes it seemed as though the piece was going to remain strangely aloof (strange because the subject matter is a heartfelt lament), but its lengthy, subdued conclusion was arresting, oblique strands of harmony glancing off each other and jelling in various ways, garnished with infinitesimal whispers. Yet it was Tatjana Kozlova-Johannes who truly set the Niguliste alight in To My End and to Its End… (another première), which to my mind was by far the best of all the choral works i heard during the festival (and one of the best i’ve ever heard). Setting words of Palestinian poet Mahmoud Darwish, Kozlova-Johannes utilised the choir both as a collective and as a large collection of soloists, establishing a continuous music with no rests or silences, surrounding the individuated portions of melody – handed from voice to voice – with ever-changing colours, punctuated with soft exhalations. 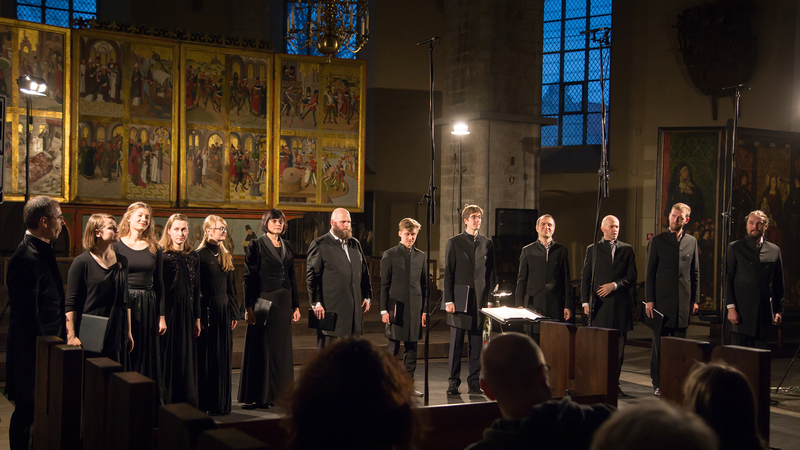 Here was music that demonstrably broke the mould, retaining that mellifluous sensibility that typifies and permeates Estonian choral music while embracing an understated yet undeniably intrepid ambition to go somewhere beyond. Articulated by the Estonian Philharmonic Chamber Choir with the utmost sensitivity, moving seamlessly between soloistic and ensemble singing, this was music the entire world needs to notice. Staggeringly, almost unbelievably, beautiful. 1 Peter Reynolds, ‘Tallinn: Estonian Music Days’, Tempo, Vol. 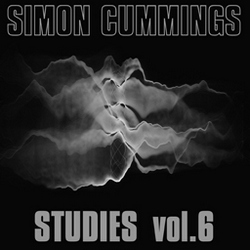 62, Issue 246 (2008), pp. 53–54. 2 cf. J. Engelhardt, ‘Late-and Post-Soviet Music Scholarship and the Tenacious Ecumenicity of Christian Musics in Estonia’, Journal of Baltic Studies, Vol. 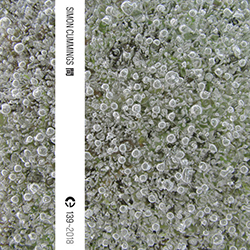 39, Issue 3 (2008), pp. 239–262. Anti-Spam Quiz: What's the capital of Estonia?